Body: 100% Modal, Application: 100% Polyester. 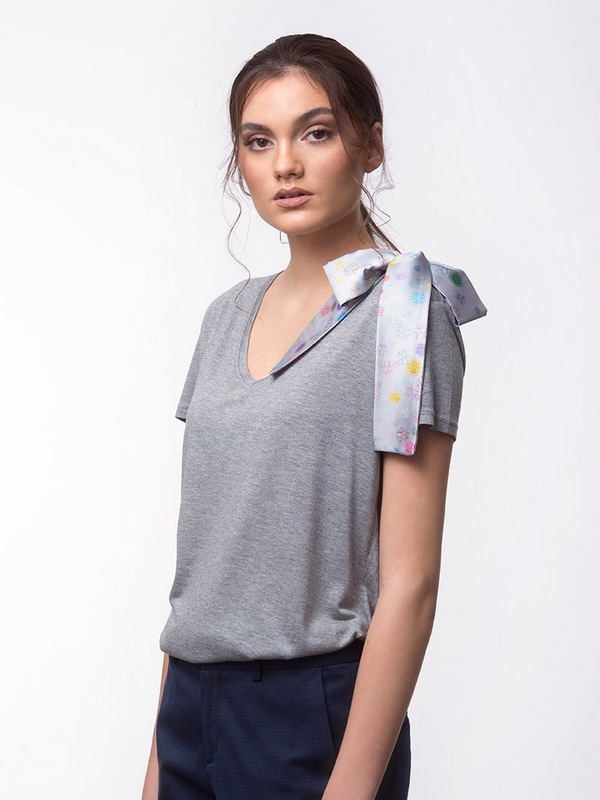 Description: This gray T-shirt is cut from soft-touch modal fabric in a flattering V-neck silhouette and playfully decorated with a large bow on the shoulder. 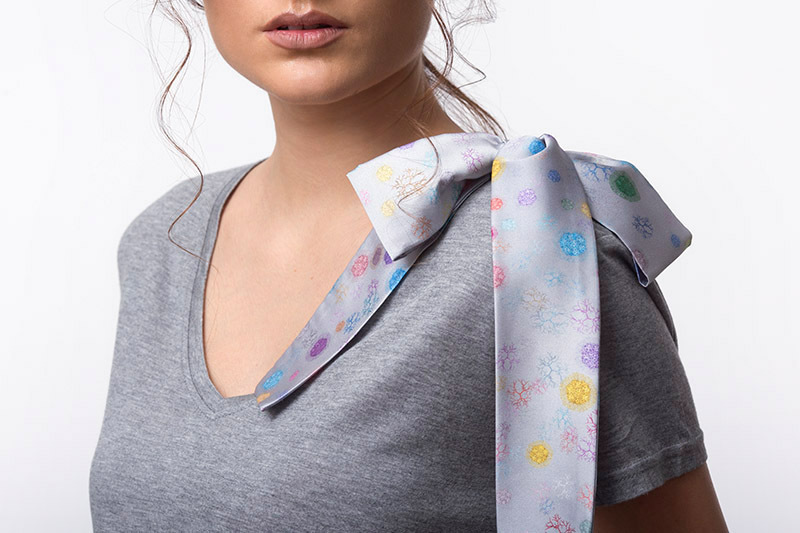 Fabric printed with Marabeca’s molecules original drawing. Relaxed fit.